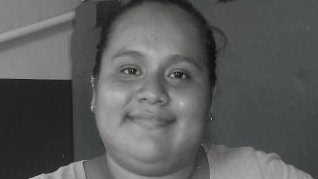 Lisbeth Solano - Executive Secretary - BECA. The BECA.org Foundation. Empowering Youth Education in Nicaragua. Hello everyone who is part of the huge family BECA.org is a pleasure for me to write about the wonderful experience, to remember the moments that were for me of great blessing and that will be etched in my memory. I am Lisbeth Carolina Solano López, I am 21 years old, I am from the city of Masaya, I come from a humble family, I was one of the beneficiaries of the organization BECA.org to which I am infinitely grateful for the great opportunity that I was offered to continue with my studies, their social and economic support. Well, my story began like this: after finishing with my high school my family we were in a difficult situation, my father entered into a disease that caused economic instability in my home, so my mother could not pay me a university since she I had to cover all the expense for the food. And for that reason I decided to start working to help in the difficult situation that my family was going through. But in the year 2013 a guy learned that there was a foundation called BECA.org where they supported the young people with limited economic resources, he told me that he could ask for more information and I went to the premises to leave my documents, all Requirements After a few weeks I received a phone call stating that I had been selected for the scholarship, I was very happy to hear the news; Was determined to embark on this successful path. The first thing was to start the first part of Course One, computer classes for three months in that time I found excellent people who offered me their friendship and thank God to finish it without problems, then emerged social service in a primary school Masaya Brothers of Japan) which also ends successfully. After finishing with 6 months of Course One, I decided to study Middle School in Executive Secretariat at the Academy of Commercial Sciences of Masaya, my technical career lasted 1 year, in which time I learned to be a better person and a better professional. When I finished my studies without problems and with my title already in hand I entered my papers in the Mined de Masaya where I was hired as Executive Secretary of the public school Concepción de María in the community of Pacayita. All this fabulous change is thanks to God, my family that always supported me and the foundation. I can say my great family BECA.org that always trusted me. Thank you very much to the founder and the sponsors for the support that the young Nicaraguans offer us.